Pasta dishes are the ultimate comfort food to me. I totally love them. My waistline doesn’t but it’s okay. 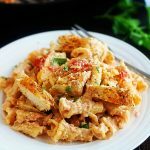 😉 What I love about this CAJUN CHICKEN PASTA is how easy AND delicious it is. The homemade alfredo sauce is a cinch to make, and the whole thing comes together in just about 30 minutes. 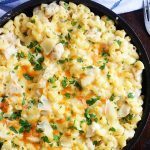 A perfect dinner to make on those crazy weeknights. In a large Ziploc bag, add chicken, 1 tablespoon olive oil and cajun seasoning. Rub and shake to coat chicken. Heat remaining 1 tablespoon olive oil in a large skillet over medium high heat. Add chicken and cook about 6 minutes on each side. Remove to a plate and cover with foil keep warm. Wipe skillet clean (be careful it will be hot!) and melt butter over medium heat. Add garlic, and cook, stirring frequently, until fragrant. Gradually whisk in heavy cream. Cook, whisking constantly, until incorporated, about 1-2 minutes. Stir in Parmesan until slightly thickened. If the mixture is too thick, add more heavy cream as needed; season with salt and pepper, to taste. Serve immediately with chicken, garnished with tomatoes and parsley, if desired. This makes me think of when O’Charley’s first opened here when I was a junior in high school and I thought it was SO good. 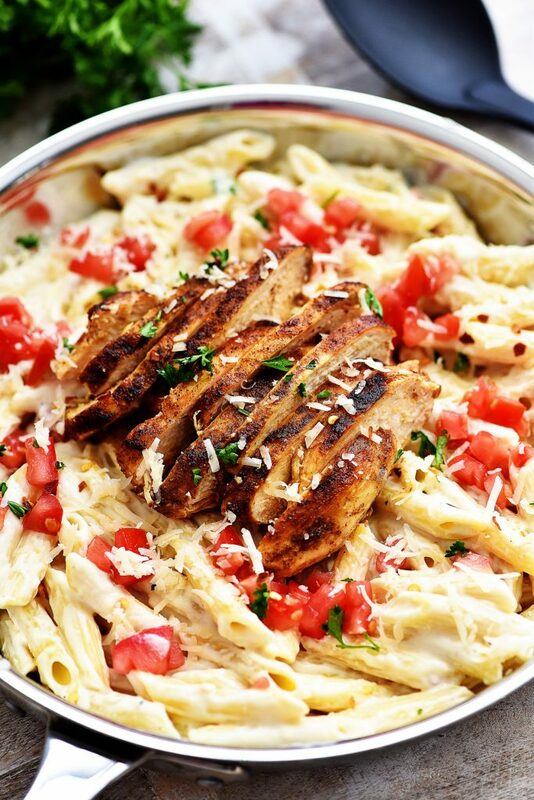 Cajun chicken pasta was my favorite thing to order! This looks way better than that. Thanks for the recipe! Cajun and creamy white sauce?? I am ALL over this! Sounds delicious! Looks like you’ve updated this recipe to a new one that looks really yummy. Do you still have the old one with the cajun spice mix amounts? That meal is a favorite of ours and if I lose that recipe I’m in big trouble! Thanks for your help! Combine all together in a small air tight container. Store for up to six months. It would appear that since this makes 4 servings that a serving is 1/2 a chicken breast?? Maybe for a child but for an adult??? 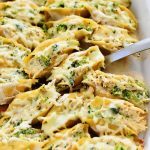 This recipe would be just about right for my husband and me so I guess we’ll be eating 2 servings each. 🙂 Would I be the only one who thinks half a chicken breast is not really a dinner-size meal? Everyone loved it! I didn’t have penne so I used spaghetti. I think penne would definitely have been much better.